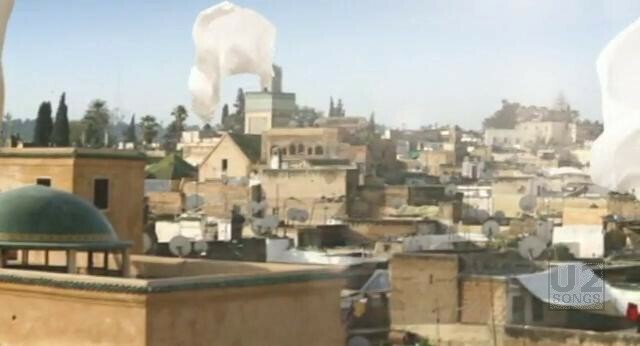 The video for “Magnificent” was filmed by Alex Courtes in the city of Fez, in Morocco. The band was filmed among the traders in the market, on the ancient walls, and even playing with the local kids. 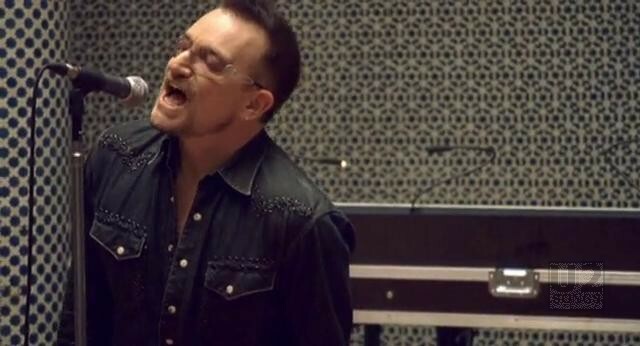 On May 1, 2009, U2.com released a short behind the scenes video. 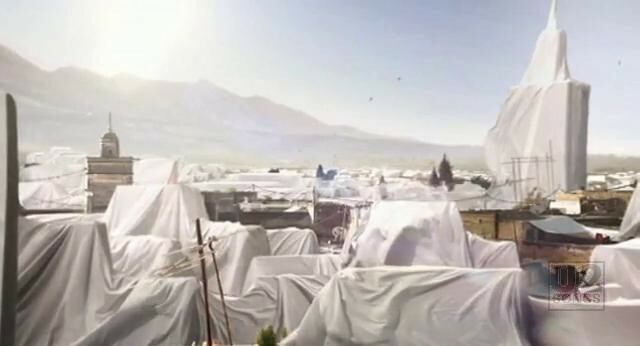 The video opens with buildings and structures in the city covered in white sheets and locals silhouetted against the sky. 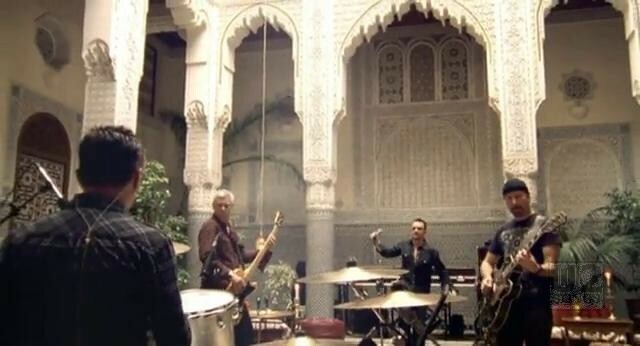 The performance footage in the riad has U2 set up in a circle, performing the song, while we cut to scenes of the sheets billowing in the wind. 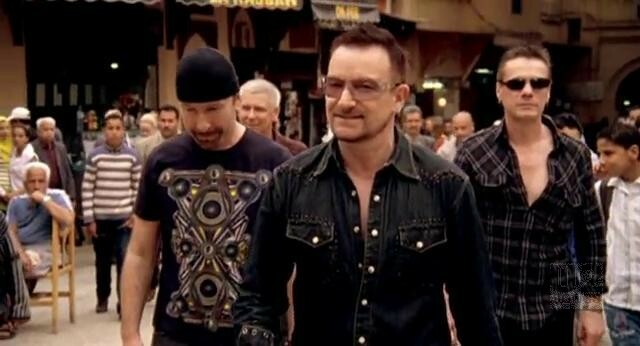 We then see footage of U2 walking through the market, while locals continue about their daily routines under the sheets. The sheets then disappear from the structures, revealing the buildings below. A lot of the city scenes appear to have been filmed near the Blue Gate and the surrounding area. The riad used for filming appears to be different than Riad El Yacout where U2 had recorded some of “No Line on the Horizon”. A second video, running 05:31, opens with footage of the riad being set up for the band to record, and scenes of U2 performing. In this video, you can see the film crews working and filming the band. This alternate video has more scenes from the market as well, setting up the sheets, and appears to be a “behind the scenes” set to the song, and includes footage of U2 being photographed in the streets of Fez. Shooting in Fez for both videos took place the week of March 20, 2009. The first day of filming was the performance footage from inside the riad, and then the next two days were spent filming in the streets of Fez. 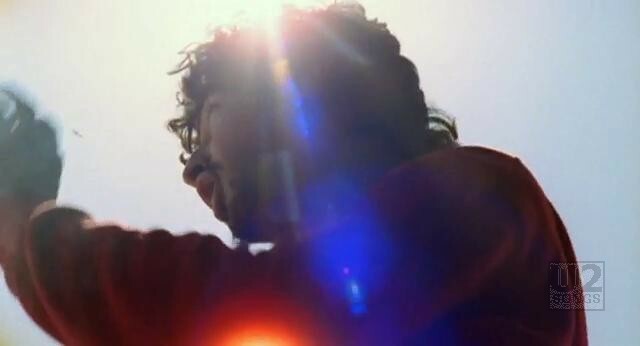 The video debuted on U2.com the morning of May 6, 2009. "U2 - “U2360° at the Rose Bowl” Video Release"